Anyway, I will do my best. Mariana is a Hybrid Tea rose. The blooms can just about be described as variable in colour. They are, in part, orange, deep coral and deep yellow. The blooms are typical hybrid tea-shaped, semi-cupped, with a high centre. The petals, however, are quite distinctive, as some are ruffled along the edges. There is no perfume. When I put these blooms in a vase, I thought they would make a nice bouquet. I must be right, for the few hits I found on the internet when I searched for information on Mariana, were for cut flowers, not for the actual plant. Mariana is, obviously, a favourite with florists. They lasted well in the vase. The petals are thick and strong. They feel quite leathery, which may explain why, after several days of rain, Mariana was ablaze with perfect blooms, with no water damage. A thin-petalled rose would have balled after the rain. I saw many such roses as I walked around. Another thing about Mariana that struck me was the fact that the bush was covered in flowers, notwithstanding it is late autumn. I don’t recall the plant looking so good earlier in the season so, maybe, it prefers the cooler, damp conditions. I’m afraid I can’t be more specific. My bush is relatively short, not more than a metre and, at the moment, looks remarkably healthy compared to a lot of my other bushes which seem to be losing leaves, getting black spot and, generally, closing down for winter. Mariana was released by Kordes, Germany, in 2003. 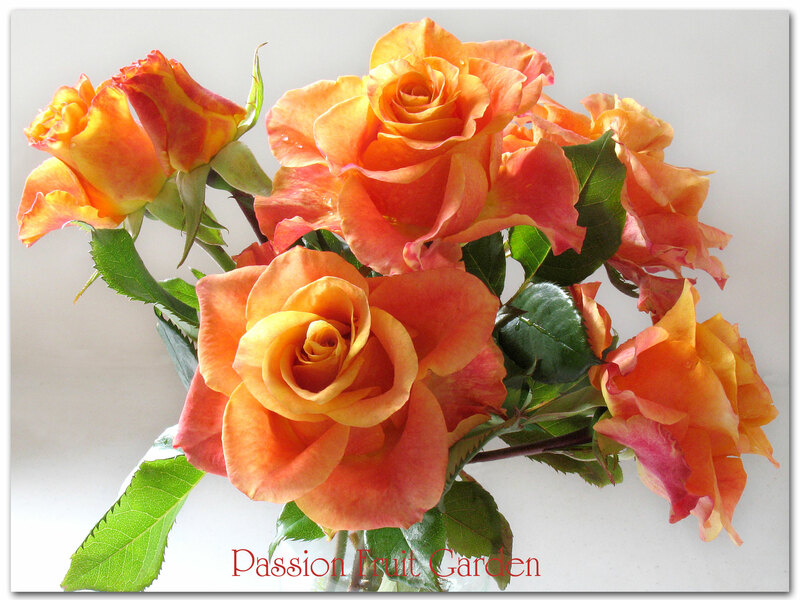 This entry was posted in Bush Rose, Hybrid Tea Roses, Modern Garden Roses, Rose of the week and tagged Apricot rose, Good cut flower roses, Roses for florists by Glenda. Bookmark the permalink. Slowly catching up with older posts & I came across this one. I can’t believe how beautiful & perfect this is – perfect because my daughter’s getting married next August & I think this is what she wants for her bridesmaid colors (if she changes her mind then the mother of the bride – that would be me, is going to wear this color). 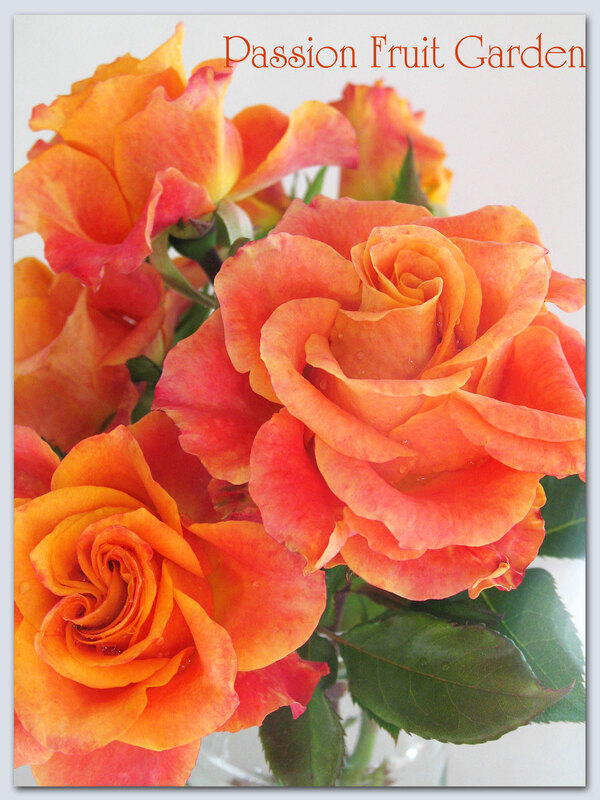 I’m already scouting around for roses to cover the possible colors that she thinks she might like in her bouquet. Diane, this is clearly a florist rose so it may be a possibility for you. How exciting – a wedding. I’m glad you persisted, with the post and the rose… because the Mariana photos are stunning. Marianna despite its shortcomings is stunning. The cut flowers could cheer up anything. Ever use roses for cooking? What with your overload, it seems a natural match. Hi Doc, I coat the petals in egg white and caster sugar and use them as decoration for desserts. And I dream of making rose petal jelly but that is as far as it goes. I buy my rose water.